Work anywhere you desire with our ultra adjustable laptop desk. Our unique patented design dramatically increases productivity and quality of life by removing the workspace restrictions of a standard desk. Our laptop desk eliminates the need to choose between being anchored to your desk or having hot legs on the couch. 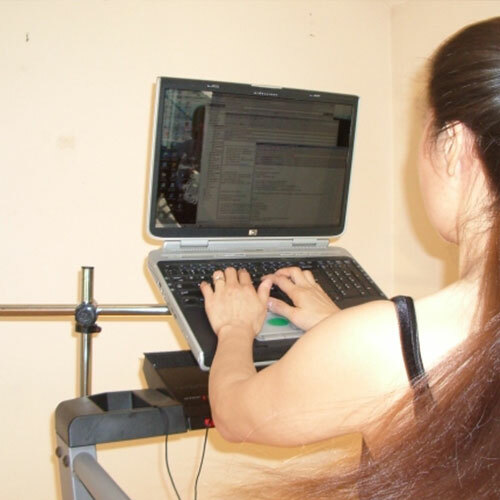 Now you can stand, sit, recline or even exercise – your laptop has never been so accessible! 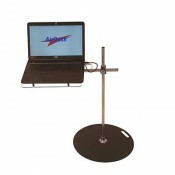 These elegant Laptop Desk Stands are optimized for ease-of-use, health, comfort and beauty. We are constantly complimented by customers on the unexpected engineering elegance, quality and beauty of their AirDesks. The specialized frame is made of super strong stainless steel which is polished to a mirror finish, no particle board here. 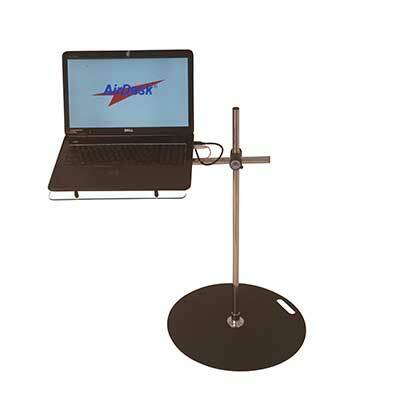 AirDesks literally reflect your surroundings and almost disappear in the background. 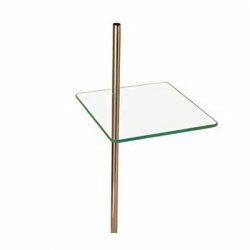 Custom green edge trays and shelves have an expensive tempered glass appearance but are durable and easy to clean acrylic. Two screw-in rubber coated posts in the front of the tray keep your laptop secure. The heavy steel, 1/8″ thick Ultra-Thin Base™ has a high quality and durable black wrinkle finish that does not scratch valuable flooring. It is thin and strong enough to go under Any furniture, you can even walk it or roll a wheelchair or office chair over it. A convenient carry handle is built in the base for enhanced portability. 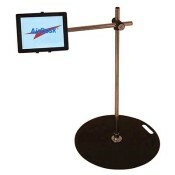 Easily carry anAirDesk® from room to room with one or two hands, or slide it with your foot. See specifications for more information. We all know the uncomfortable feeling of having a hot laptop on your legs. Unfortunately laptops really do not belong on your lap for ergonomic, cooling and dirt reasons. 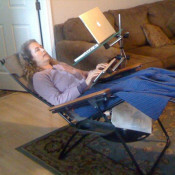 AirDesks however provide optimal cooling for All laptops. Expensive cooling pads are Not needed and not recommended so save money if cooling is a concern. For more technical details on laptop cooling visit our blog. One of the biggest benefits of AirDesks over all competitors is your ability to customize your AirDesk throughout your life. 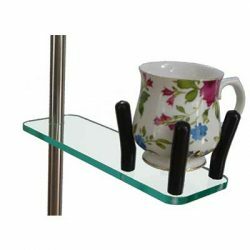 As you change laptops and tablets or work area, no need to buy a new desk or stand, simply order the accessory, new tray or mast that you need. Also unlike other products out there, your desk can position multiple devices at the same time. 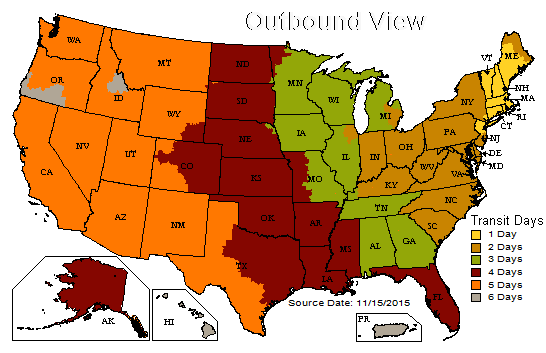 This is a huge benefit for many users. Use your laptop(s) and tablet(s) and even a monitor or two simultaneously. Below are select accessories you may consider. For a complete list of accessories, see accessories. 3″ to 42″ working height – Tall, Same as the Standard but adds the option of bed use and working while standing. Base diameter 20”, thickness : 1/8” solid steel with attractive textured finish. 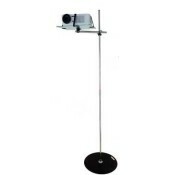 Mast and Arms Mirror Polished Stainless Steel. Arm length 19” Plenty long for all stated applications. 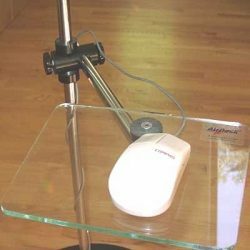 Arm extensions possible: No Standard Laptop Tray: 12x12”, the large is 13x16” Large Laptop Tray : 12x12”, the large is 13x16” Angle and tilt adjustments: every Direction adjustments: every Trays and AirShelves: easy to clean acrylic, custom colored to look like tempered glass. Securely holds any, iPad, tablet or eReader. Unique 3D positioning technology will put your tablet in the perfect spot for your setup. Mast & base not included. Ultra Adjustable for maximum comfort. Ideal for a joystick or mouse, you simply swing it away when not in use. 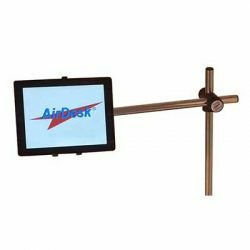 Add to any AirDesk mast to complete your workstation.